... all intimate with him learnt to esteem his reliability and truthfulness. ... the greatest confidence and trust were placed in him. His judgement ... was highly valued. Clausius entered the University of Berlin in 1840 although at this stage he was still not clear which subjects he would pursue. For a while he was strongly attracted towards history, but finally he decided to concentrate on mathematics and physics. It was in these subjects that he completed his degree by Easter of the year 1844 and then spent a probationary year teaching at the Frederic-Werder Gymnasium. At the Gymnasium Clausius taught the advanced classes in mathematics and physics. In 1846 he entered Boeck's Royal Seminary and submitted his dissertation, on the problem of reflected light in the sky, to Halle University in 1847. He received his doctorate, with distinction, on 15 July 1848. This early work by Clausius was aimed at explaining the blue colour of the sky, the red colours seen at sunrise and sunset, and the polarisation of light; see  for details. It has turned out not to be based on correct physics because it assumed the effects were caused by reflection and refraction of light rather than being caused by the scattering of light as Thomson proposed. However in this work Clausius applied mathematics far more deeply than any of his predecessors and it is a good illustration of how physical problems drive the development of mathematics even when their physical basis is unsound. Clausius's first paper on the mechanical theory of heat was published in 1850. This is his most famous work and we shall discuss below its content and significance. Its importance was quickly recognised and he was invited to the post of Professor at the Royal Artillery and Engineering School at Berlin on 25 September 1850. He also became a Docent at the University of Berlin and gave his inaugural lecture at the University on 18 December. 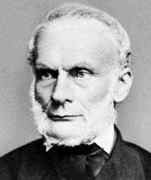 On 29 August 1855 Clausius was appointed to the Chair of Mathematical Physics at the Polytechnikum in Zürich and at the same time he was also appointed to the University of Zürich. It was certainly an excellent place for Clausius to push forward his ideas surrounded by other excellent mathematicians and physicists. He was now pulled in two directions, one being to remain at the scientifically excellent Zürich and the other to return to Germany, a country he deeply loved. In 1858 he was offered a post at the Polytechnic at Karlsruhe but turned it down. In the following year, on the 19 November, he married Adelheid Rimpam. Again in 1862 he was offered a post at the Polytechnic in Brunswick but turned it down despite the offer coming from his wife's home town, as he did the offer from Vienna four years later. Then in 1867 when offered a professorship by the University of Würzburg he accepted, expressing deep regret at leaving Zürich but finally finding he could no longer resist his wish to return to his native Germany. He had only been one year in Würzburg when he was offered a position in Munich. He turned down this offer but in the following year, 1869, accepted an offer of a chair at the University of Bonn. Soon after this, however, political events would have a major effect on Clausius's life. Bismarck had succeeded in creating a North German Confederation but was looking for a way to encourage the southern states to join. France believed that they could easily defeat the new German states and Bismarck realised that a war with France would be the event he needed to bring all the German states together. He cleverly engineered a situation in which he provoked the French into initiating the war which both sides had wanted. Clausius was a German patriot and, although he was nearing 50 years of age, he offered his services to his country in the Franco-Prussian war which had broken out. His burning patriotism did not permit him to stay idle at home during the war of 1870-71. He undertook the leadership of an ambulance corps, which he formed of Bonn students. At the great battles of Vionville and Gravelotte he helped to carry the wounded from the battle and to lessen their suffering. He was the best and most affectionate of fathers, fully entering into the joys of his children. He himself supervised the schoolwork of his children. Even on his last sick-bed he held an examination. ... Clausius first stated the basic idea of the second law of thermodynamics. He used it in showing that for a 'Carnot cycle', which transmits heat between two heat reservoirs at different temperatures and at the same time converts heat into work, the maximum work obtained from a given amount of heat depends solely upon the temperatures of the heat reservoirs and not upon the nature of the working substance. To understand the significance of Clausius's paper we should say a few words about the theory of heat which existed at this time. This theory, called the caloric theory, was based on two axioms, namely that the heat in the universe is conserved and that the heat in a substance is a function of the state of the substance. Laplace, Poisson, Sadi Carnot and Clapeyron had all developed the subject using this caloric theory as a basis. However, in his 1850 paper, Clausius states clearly that the assumptions of the caloric theory are false and he gives two laws of thermodynamics to replace the incorrect assumptions. He gave explanations of the nature of free heat and latent heat. The First Law of Thermodynamics states the equivalence of heat and work: whenever work is done by heat then an equivalent amount of heat is consumed. Clausius had experimental evidence of this law, not from his own experiments but from those of Joule. The acceptance of the First Law of Thermodynamics showed immediately that both of the axioms of the caloric theory are false. Clausius interpreted free heat as the kinetic energy of the particles of the body. Work put into increasing this kinetic energy would result in an increase in temperature. Latent heat was heat which had been destroyed in work performed against forces between molecules. ... the merit of first establishing [Sadi Carnot's theorem] upon correct principles is entirely due to Clausius. ... in the memoir of Clausius ... the science of thermodynamics came into existence. ... It might be said at any time since the publication of the memoir that the foundations of the science were secure, its definitions clear, and its boundaries distinct. ... this was only the beginning of Clausius's long involvement in the study of the second law. In the following fifteen years he was to publish eight more memoirs in which he tried to put the second law into a simpler, more general and mathematical form. Clausius restated Sadi Carnot's principle of the efficiency of heat engines in his work. The Clausius-Clapeyron equation appears which expresses the relation between the pressure and temperature at which two phases of a substance are in equilibrium. He recognised entropy as the quantity that remains invariant during changes of volume and temperature in a Carnot cycle as early as his 1850 paper, but he did not name this important concept at that time. Still without giving the concept a name Clausius formulated, in a memoir of 1854, the rudiments of the theory of the concept of the measure of transformation equivalence he later called entropy. In a paper which he published in 1865 the concept is named an clearly defined for the first time. In his paper of 1865 Clausius stated the First and Second laws of thermodynamics in the following form. 2. The entropy of the universe tends to a maximum. We have referred above to the great patriotism shown by Clausius. This proved somewhat of a disadvantage to him in certain ways in his research investigations. He was involved in various disputes. The first dispute was with Thomson over a result of Joule that he had quoted in one of his papers. Clausius was very critical that a German had been the first to establish the result, not the Englishman Joule. The second dispute was with Tait over who was the first to propose the equivalence of work and heat. It was not that either of them claimed this for themselves but rather the dispute was between Tait and Tyndall over whether Joule or Julius von Mayer had priority. Clausius stumbled into the controversy quite accidentally when Tyndall had asked him to send him all von Mayer's papers. However Clausius then published an article in 1868 stating that not only did von Mayer have priority but so did the German nation. Clausius's great legacy to physics is undoubtedly his idea of the irreversible increase in entropy, and yet we find no indication of interest in Josiah Gibbs's work on chemical equilibrium or Boltzmann's views on thermodynamics and probability, both of which were utterly dependent on his idea. It is strange that he himself showed no inclination to seek a molecular understanding of irreversible entropy or to find further applications of the idea; it is stranger yet, and even tragic, that he expressed no concern for the work of his contemporaries who were accomplishing those very tasks. ... our purpose is to make sense of what Clausius did in this long endeavour. We explain how his work followed the particular course that it took, which involved digressions, loopholes, and even some confusions, and which introduced some very difficult new concepts like 'uncompensated transformation', 'disgregation' and 'entropy'. We draw a particular attention to William Thomson's idea of 'the universal tendency to the dissipation of energy' as a possible source of motivation underlying the entire endeavour. ... in the simplest and therefore most probable form. His theory was in fairly good agreement with most experimental results but, being based on absolute velocities, resulted in a charge at rest on the earth being subjected to a force due to the motion of the earth. Clausius replied to the criticisms but saying that his absolute velocity was relative to the medium surrounding the charge. Despite the difficulties in the theory it played an important role in the development of electrodynamic theory. Clausius received many honours for his work. The list is long and we shall mention only a very few. He was elected a Fellow of the Royal Society of London in 1868 and received its Copley Medal in 1879. He also received the Huygens Medal in 1870, the Poncelet Prize in 1883, and he received an honorary doctorate from the University of Würzburg in 1882. He was a noble example of the spirit that devotes itself to directly benefiting mankind, and that does not waste time on petty elaborations of pretty problems. He was in the highest sense practical, his work is eternal, and his memory will live as long as mankind reveres its benefactors.